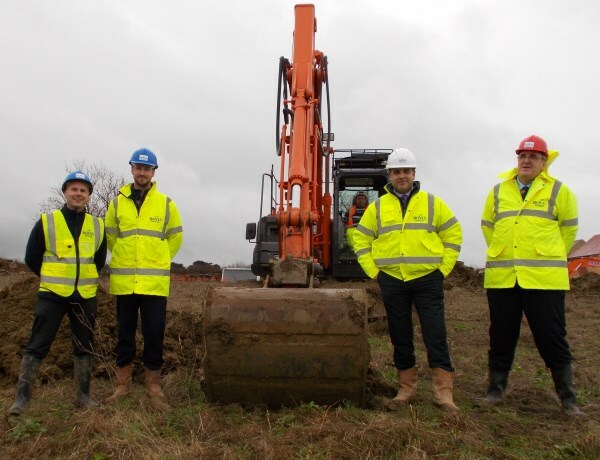 Construction has now started on the newest part of The Homelands, with 127 homes being built off Gotherington Lane. This new part of the Bishops Cleeve community will include 51 new homes that will be designated as affordable housing for those families in the area currently unable to access the local housing market. Around 300 jobs will also be created during the development's construction. Housebuilder Bovis Homes, who have their Western regional office based in the village, have promised to minimise disruption to the existing community and surrounding residents as this new location takes shape. "We pride ourselves in working with local communities as we create new neighbourhoods," said Bovis Homes Area Sales Manager Michele Davis. "We'll be doing just that in Bishops Cleeve, where we will look to keep any inconvenience to the public to an absolute minimum. "We know Bishops Cleeve well- many colleagues live here themselves - and now we are excited to be providing some high quality homes for local buyers, and some superb affordable properties to help tackle the housing challenge in the region. "These new homes have been designed to complement the look and feel of the surrounding area and we are already advertising them off plan on our website, with the first homes ready to move into this year around summer and autumn time." The new location has been designed to offer properties for all kinds of buyers, and will have a selection of 3, 4 and 5 bedroom homes.